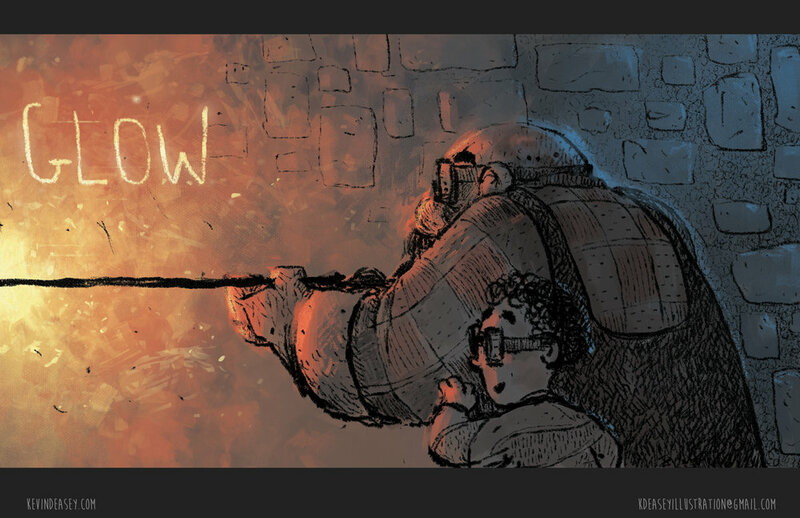 Glow is the story of an Italian glass blower named Aldo and his beloved grandson Paolo. Having created glass for most of his life, Aldo lived in his house/workshop near a remote coastal town. Late one night Paolo came down the steps into his grandfather's workshop. "Grandpa, I can't sleep." Paolo murmured. As the kiln slowly breathed warm light bounced off Aldo's face which grew into a smile. "Did you know that each marble I make, is its own world?" Aldo wispered. Paolo's squinted eyes opened in curiosity. Aldo pulled a glowing blob of glass from the mouth of the kiln and sprinkled broken glass on it's bubbling surface. 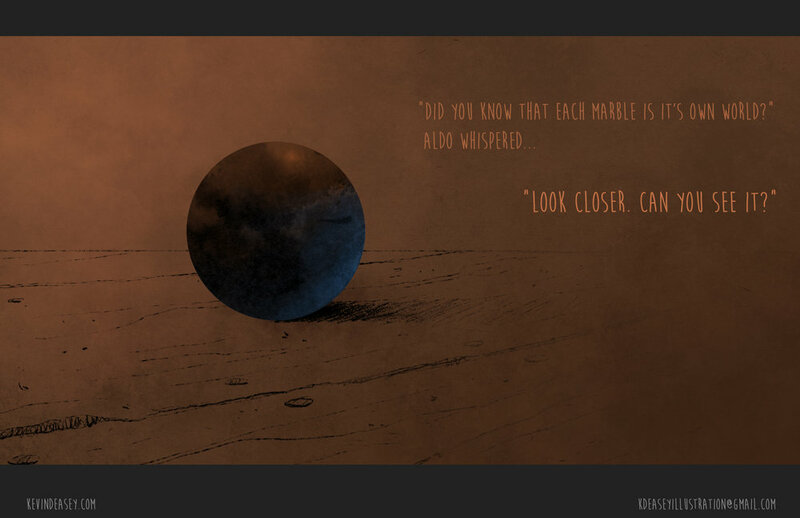 "Look closer. Can you see it?" As Paolo watched the vibrant glass twirl and melt his imagination ran wild. The floor collapsed beneath them and bands of color within the glass ripped across the sky and carved into the ground. They were no longer home.